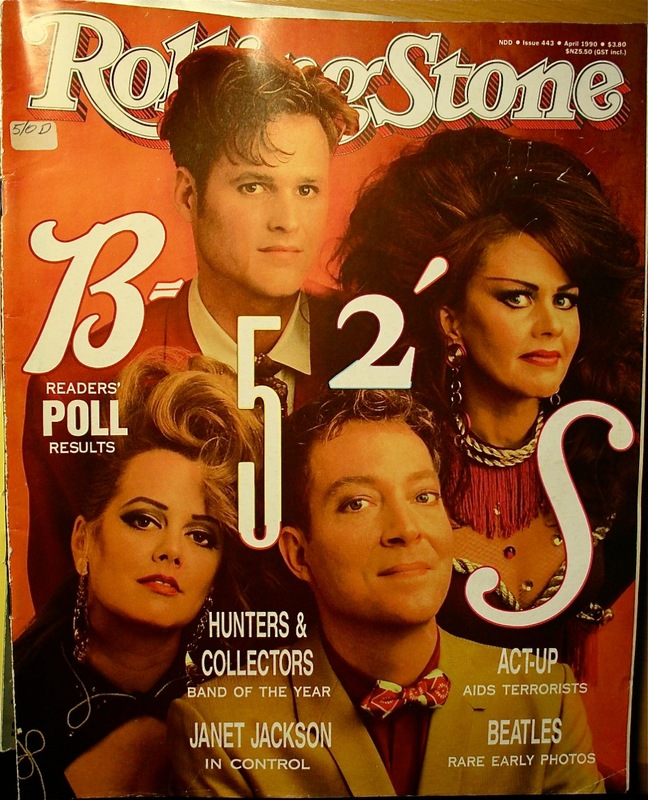 Up on the very top shelf of a closet in my study there’s a large pile of old music magazines – mostly Rolling Stone magazine. They’ve been there, oh, for at least 16 or 17 years. Sitting quietly, gathering dust. About a week ago it suddenly occurred to me that there could probably be some Beatles-related treasure hidden away in there. Really don’t know why I’d never thought of this before. And so I got them down from the shelf this weekend and had a browse. This post, in chronological order, is about what I found. These are all the Australian editions of Rolling Stone, and back in 1979 it was still very much like a newspaper in appearance. No staples to hold it together and printed on flat, newsprint style paper. 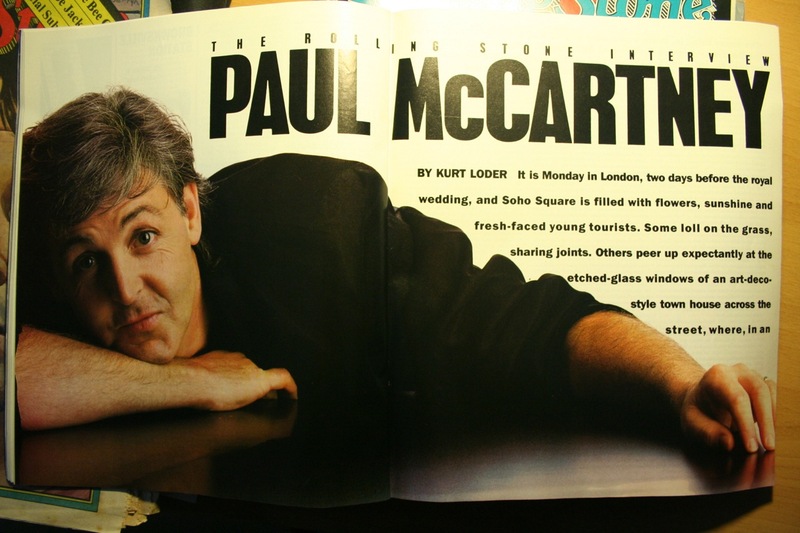 The cover story about Paul (above) is by veteran DJ, writer and rock historian Paul Gambacini. 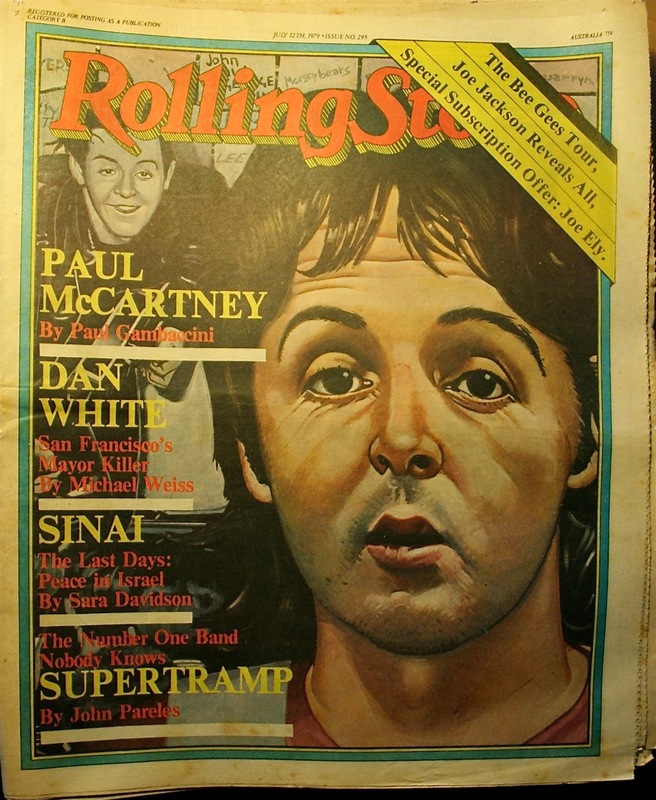 The cover portrait of Paul McCartney is by Julian Allen, June, 1979. 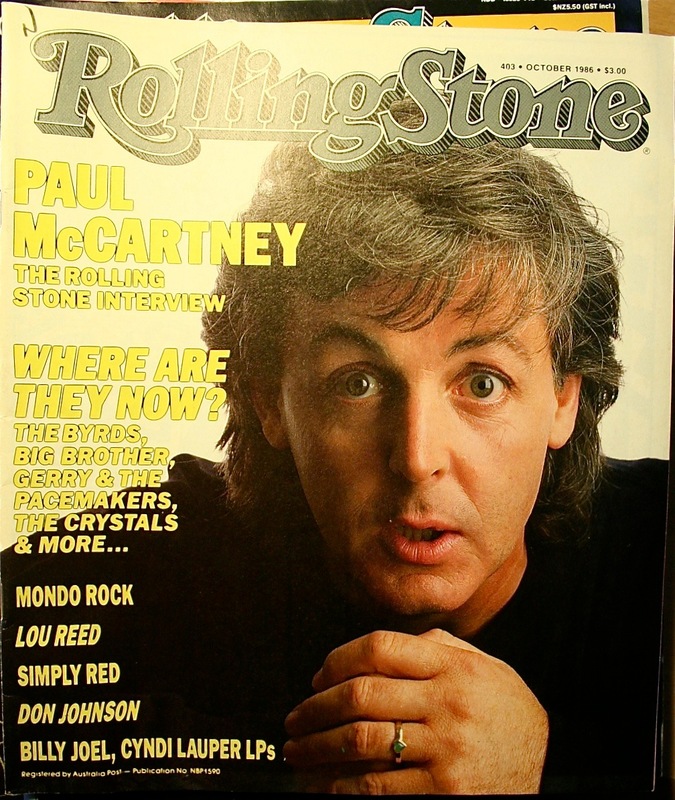 Gambacini’s byline says: “The leader of Wings looks back at yesterday”, and he writes: “I have known Paul McCartney for over five years, since just before the release of ‘Band on the Run’…Not surprisingly, McCartney at that time was desperate to avoid talking about the Beatles, especially about the never-ending reunion rumors…In the years since, Paul has let down his defenses. 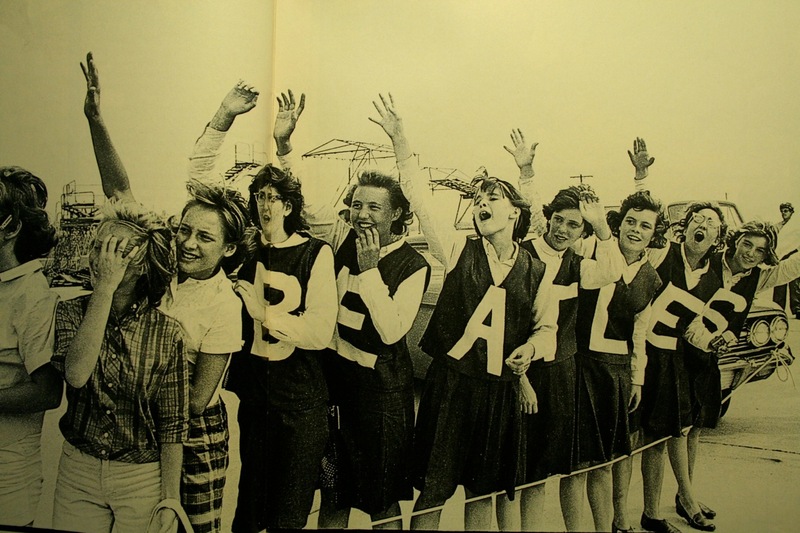 Anecdotes about the Beatles now flow, in addition to reminiscences of the pre-Beatles days. He seems pleased with his past. This is a product of being happy with his present.” The article coincided with the release of Wings “Back to the Egg”. See more Allan Tannenbaum photographs from the same session here. (November 1987) 20th Anniversary Special Edition. 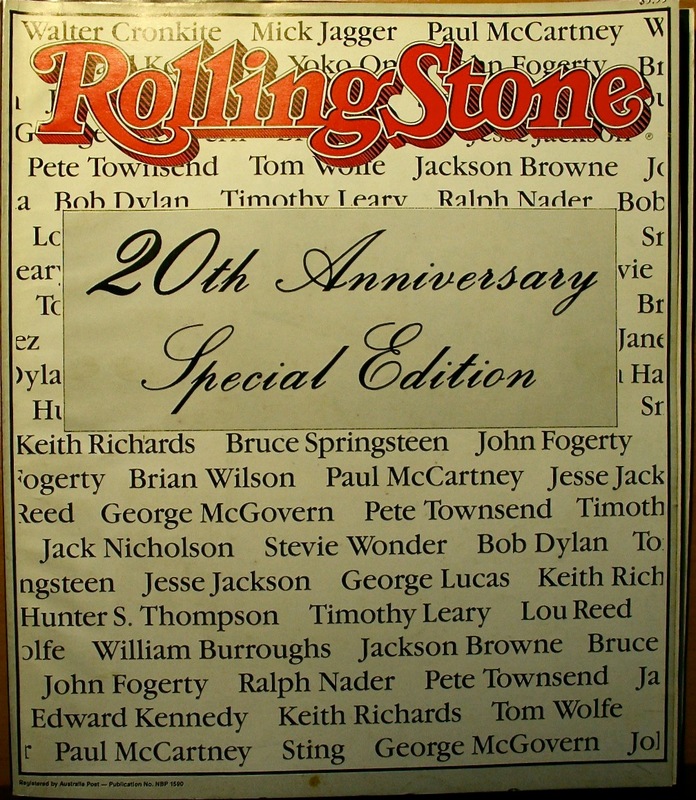 The special edition was comprised of a series of previously-published Rolling Stone articles. 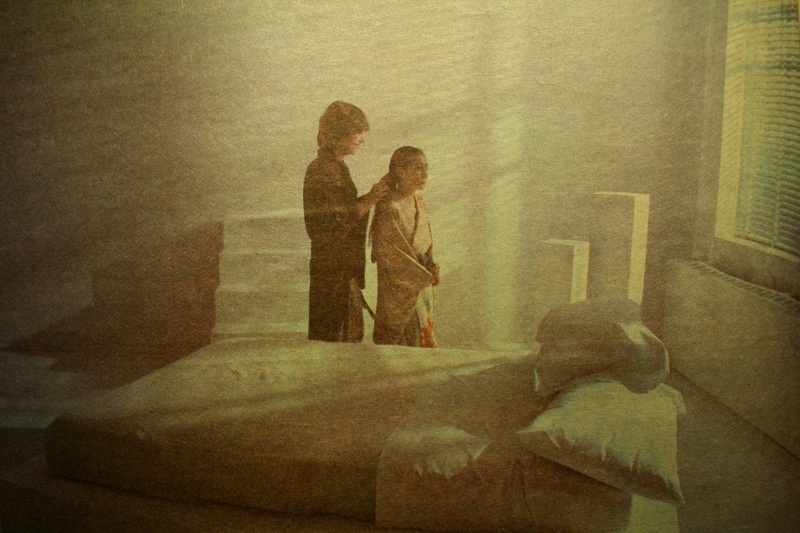 There’s one on Paul McCartney by Anthony DeCurtis, and one on Yoko Ono by David Fricke. 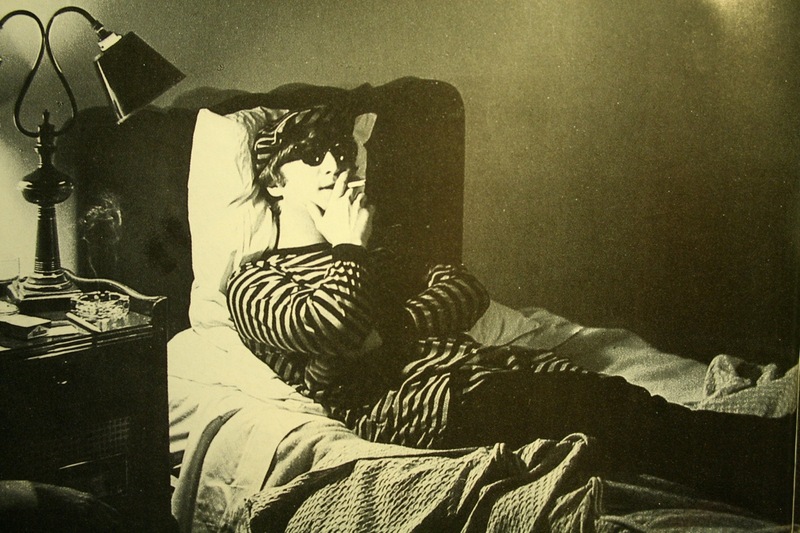 There are some image galleries as well from across the twenty years, but they only include one photograph of John Lennon. 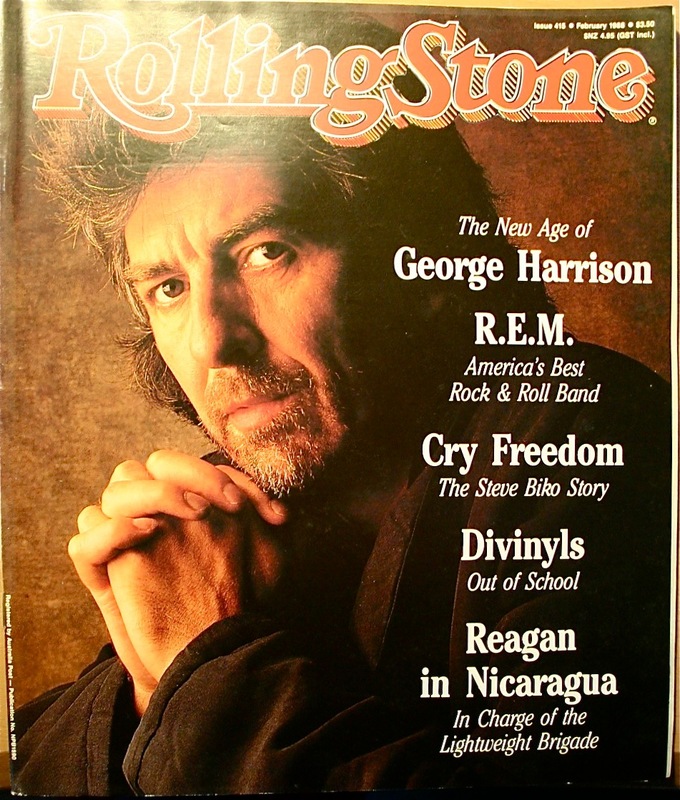 In 1988 George had a new record to push. “Cloud Nine”, his first record in five years, had just been delivered to Warner Brothers Records. The article, by Anthony DeCurtis, is a really good read about George, the production of the album (with ELO’s Jeff Lynne), his past, and where he was at in 1988. “After years of tending his garden, his movie company and his son, the elusive ex-Beatle has reemerged with a great album”. 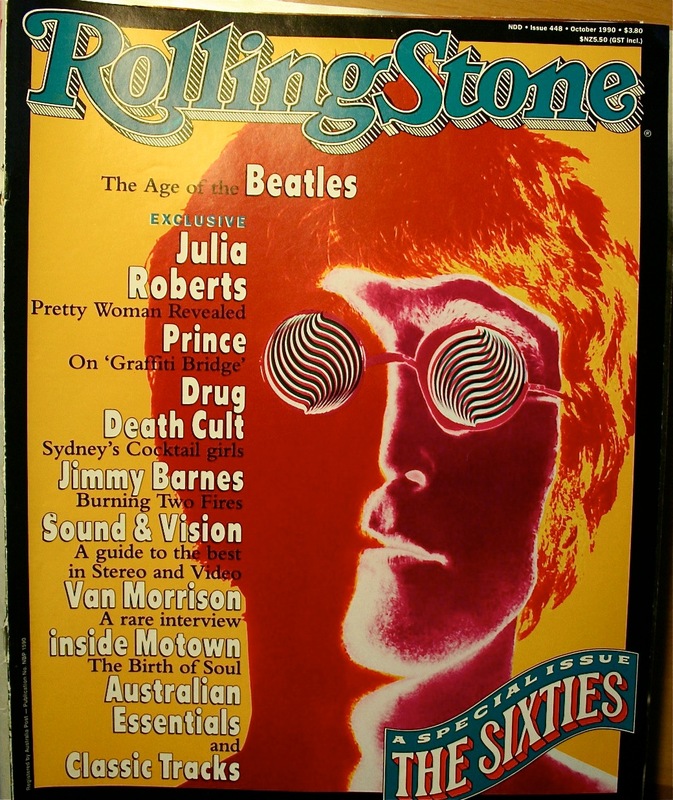 Mikal Gilmore in his feature article “The Sixties” spends a lot of time on the Beatles and their impact throughout that turbulent decade: “In short, the Beatles were a rupture – they changed modern history, and no less craftsman than Bob Dylan understood the meaning of their advent. ‘They were doing things nobody else was doing. But I just kept it to myself that I really dug them. Everybody else thought they were just for the teenyboppers, that they were gonna pass right away. But it was obvious that they had staying power. 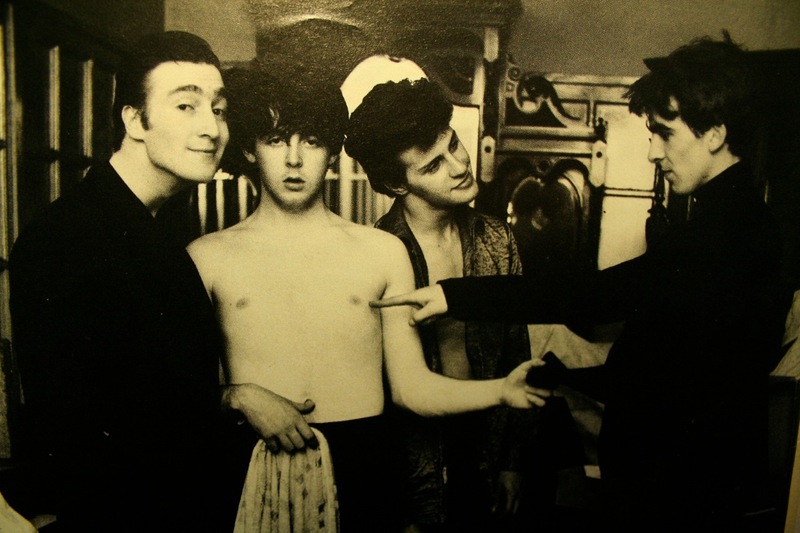 I knew they were pointing the direction that music had to go….'”. 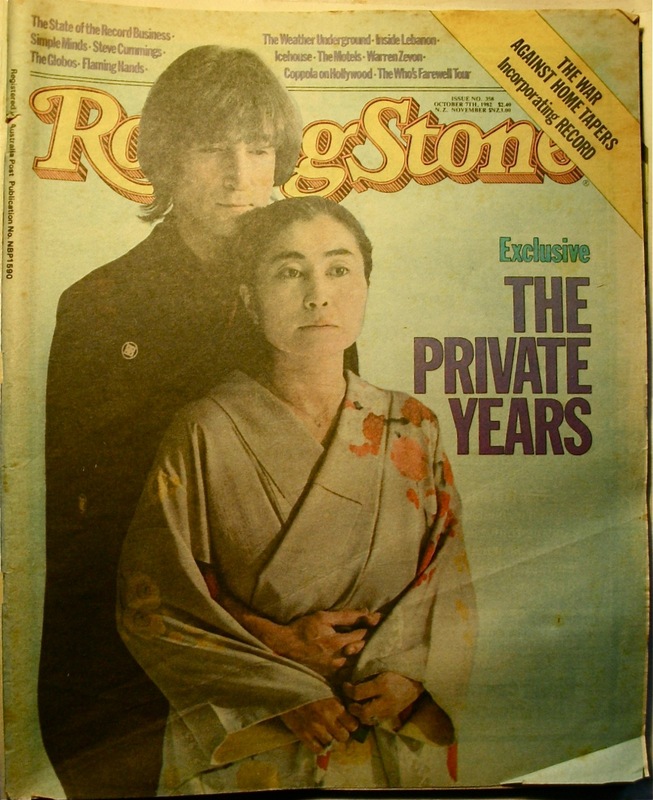 The final magazine to pop out of the large pile was from November, 1992, issue 476, a 25th Anniversary Special Edition, subtitled “The Great Stories 1967-1992”. 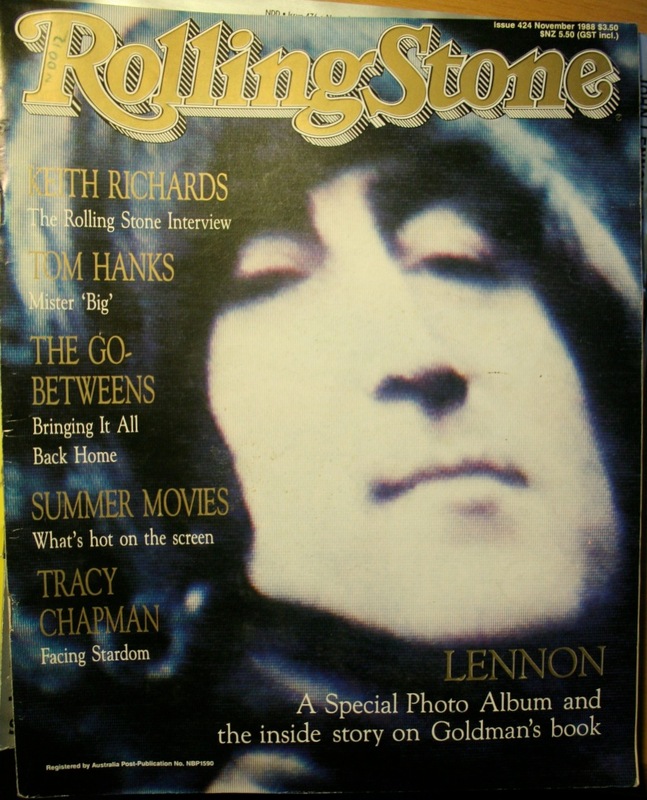 Originally from Rolling Stone Issues 74 and 75 in 1971, this was Lennon talking about the demise and aftermath of the Beatles as he saw it – for the first time. 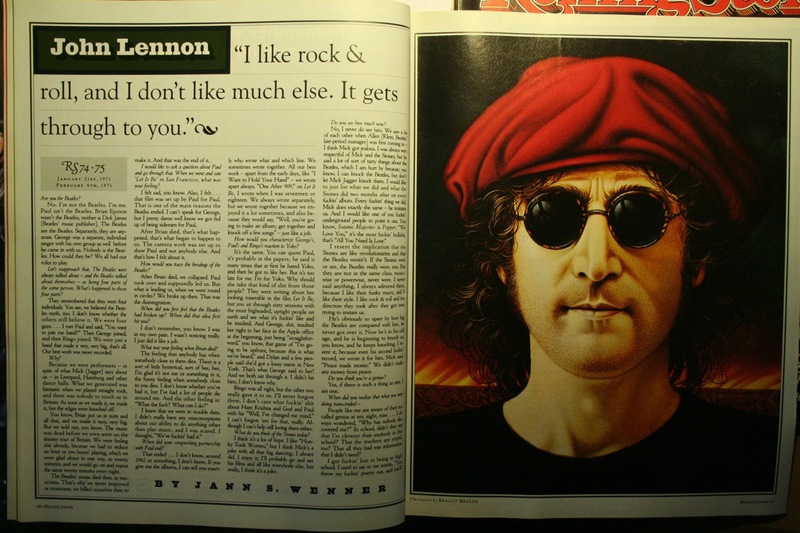 You can listen to extracts and read transcripts at Jann Wenner’s own page. So, that it. 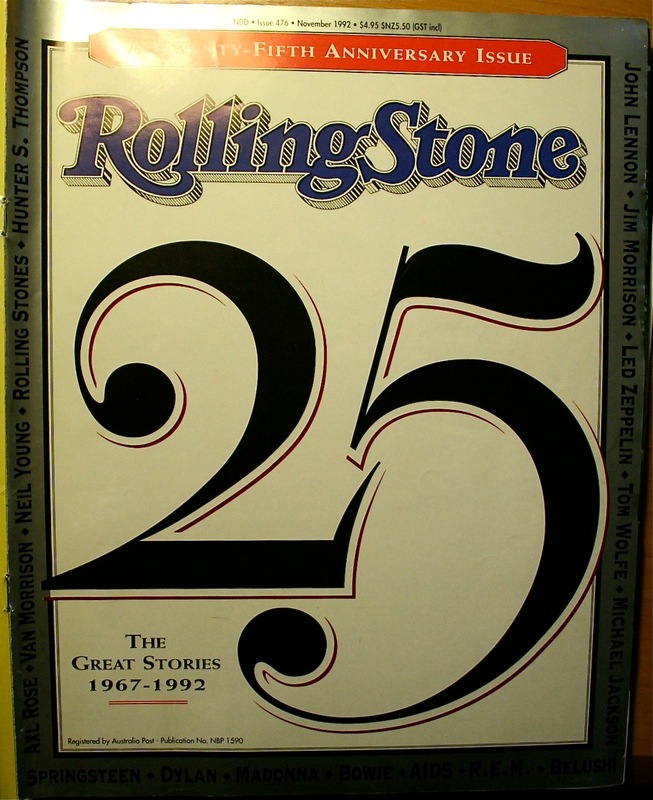 An accidental journey through the past through random editions of Rolling Stone magazine – mags that have been hidden away in a cupboard at home for over 17 years….. 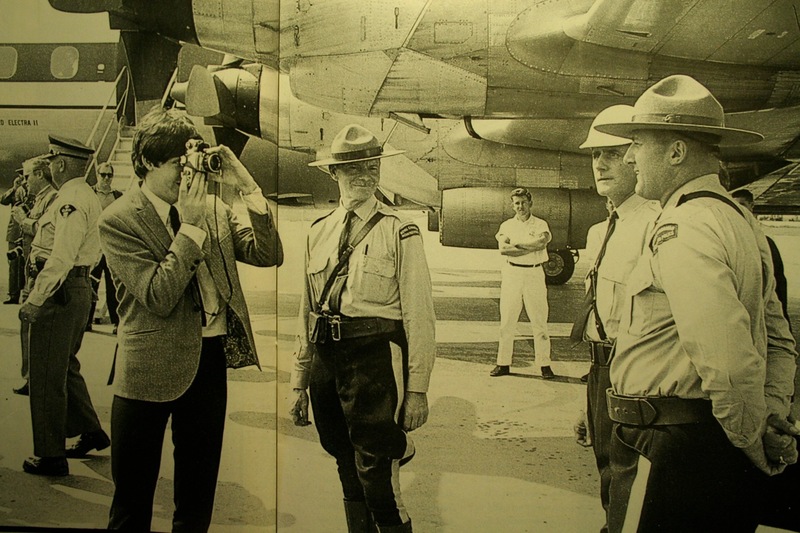 This entry was posted in Beatles, Beatles Collecting, Beatles Music, Beatles Related, George Harrison, John Lennon, Paul McCartney, Uncategorized and tagged Beatles, Beatles Books, Beatles Collecting, Beatles Related, Beatles Rolling Stone magazine, George Harrison, John Lennon, Music, Paul McCartney by beatlesblogger. Bookmark the permalink.